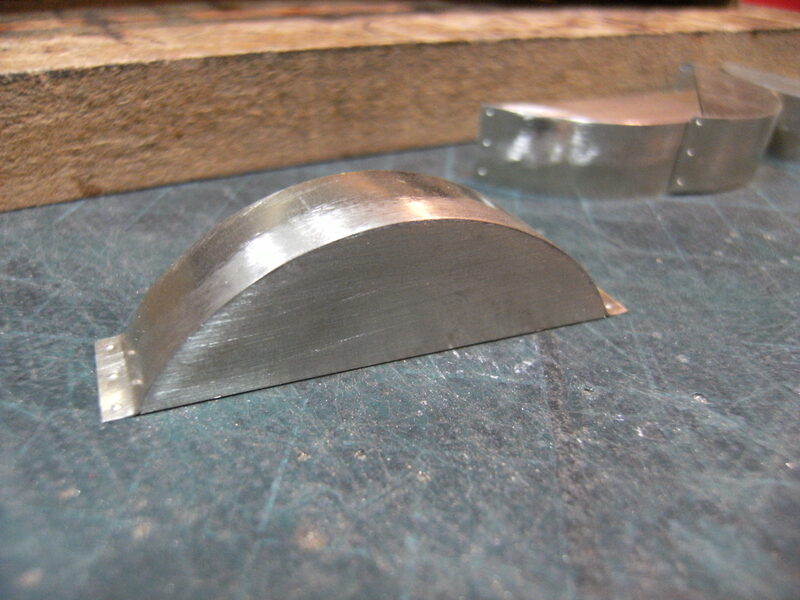 This is a scratch built project being built from parts cut from my own patterns on the profile miller. 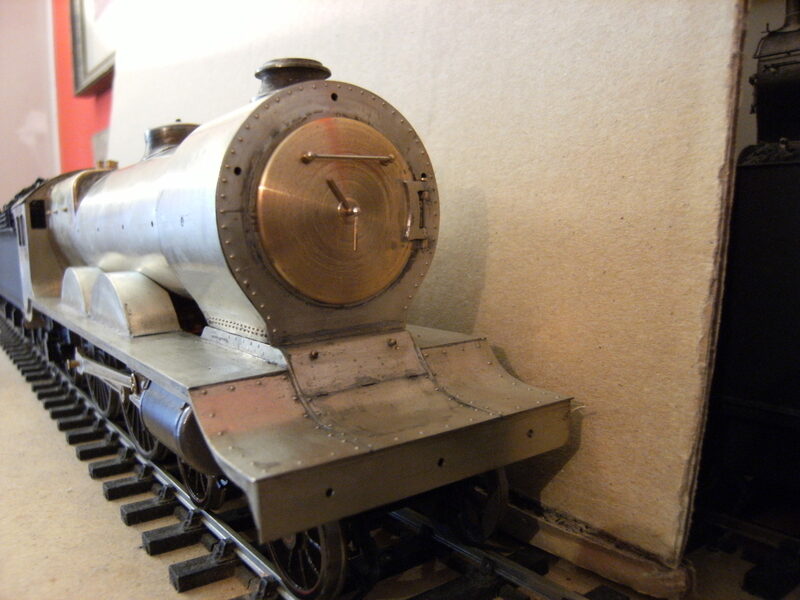 This loco was designed by William Reid in 1905 for the North British Railway. They were massive in concept and construction, with outside cylinders and large Belpare fireboxes/boilers this was a complete break from NBR tradition. Twenty two were built, 14 in 1906 and 2 in 1921 by the North British Locomotive Co., and six, 901-6 built by R. Stephenson in 1911. The subject of this model, to S7 standards, will be no. 906 “Teribus” in full N.B.R. livery. 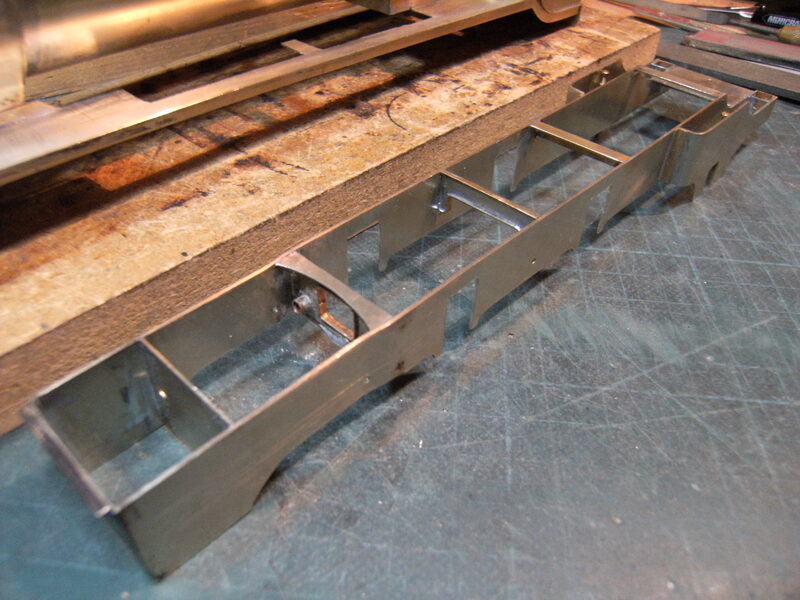 Construction of the super structure is already under way with the chassis still awaiting assembly. 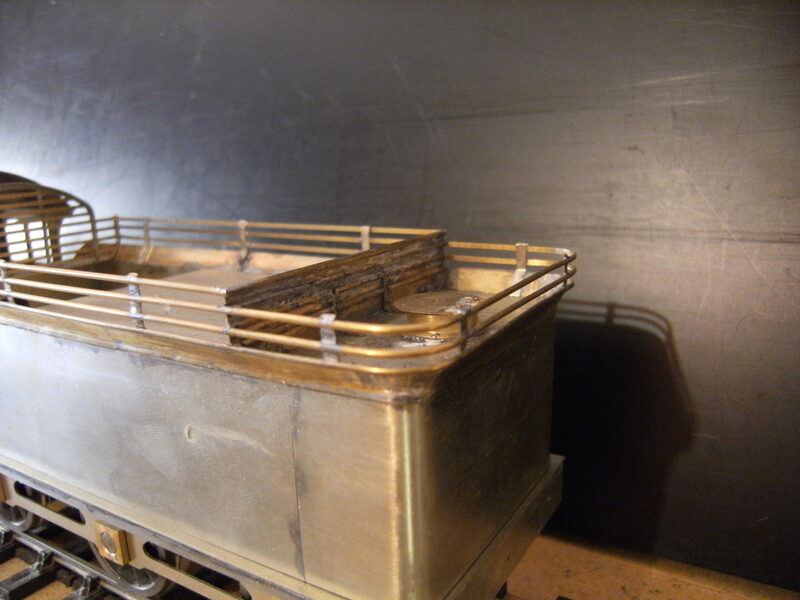 Material is mainly nickel silver with brass for the firebox wrapper. 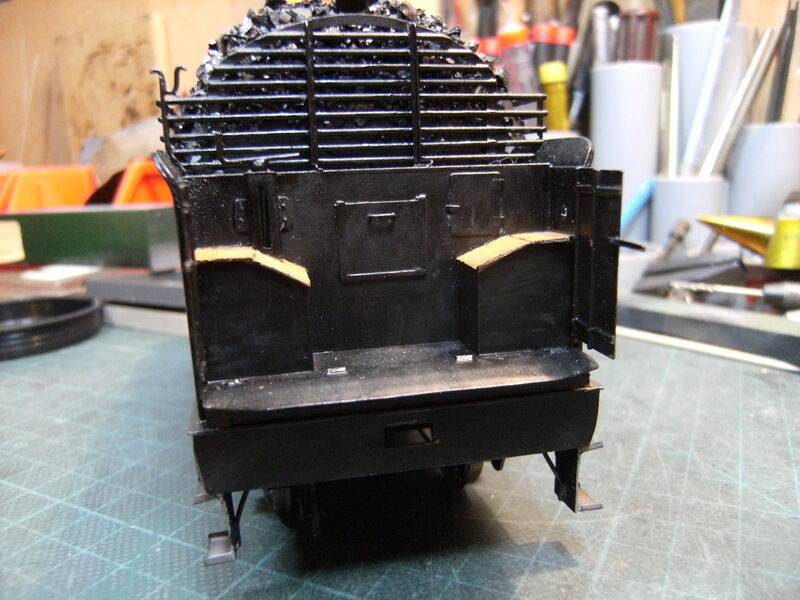 Main superstructure is nearly complete on the locomotive, the splashers waiting to be fitted with steps and fittings following later. 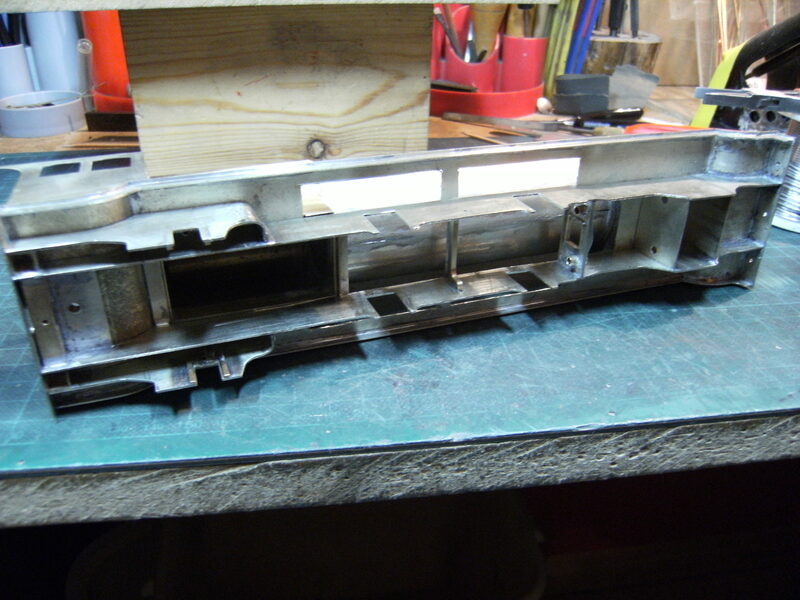 Work has also started on the chassis. 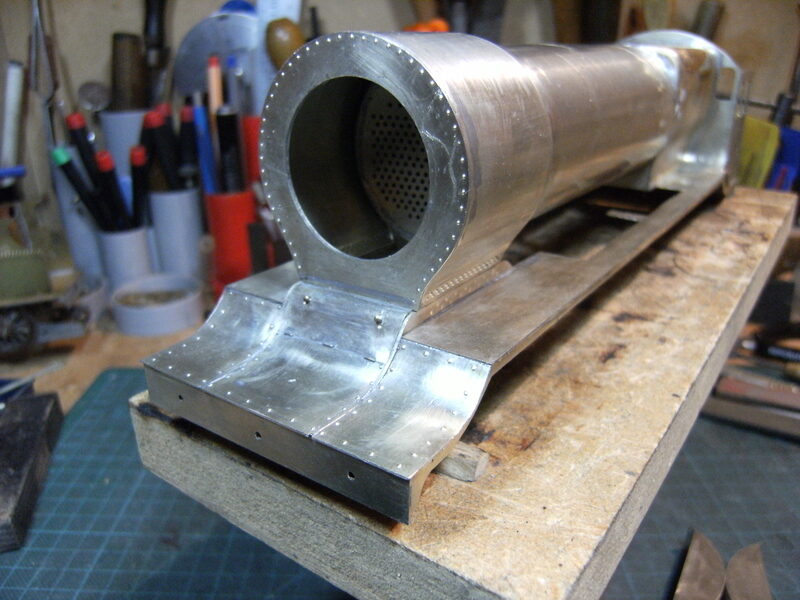 Steam and blast pipes await to be fitted with tube plate already in position. 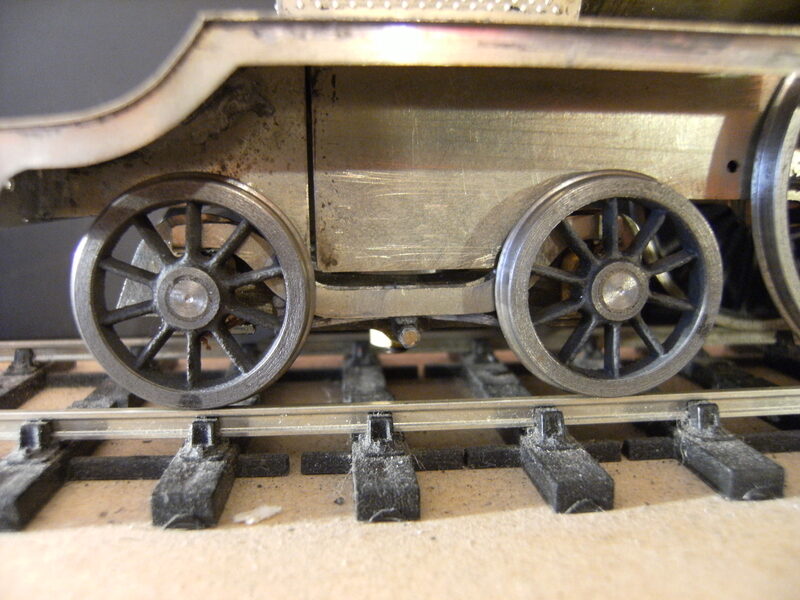 Moving on a little now with bogie construction nearly completed, this has side control springs and the axles are compensated as the prototype with bearings in horn blocks. 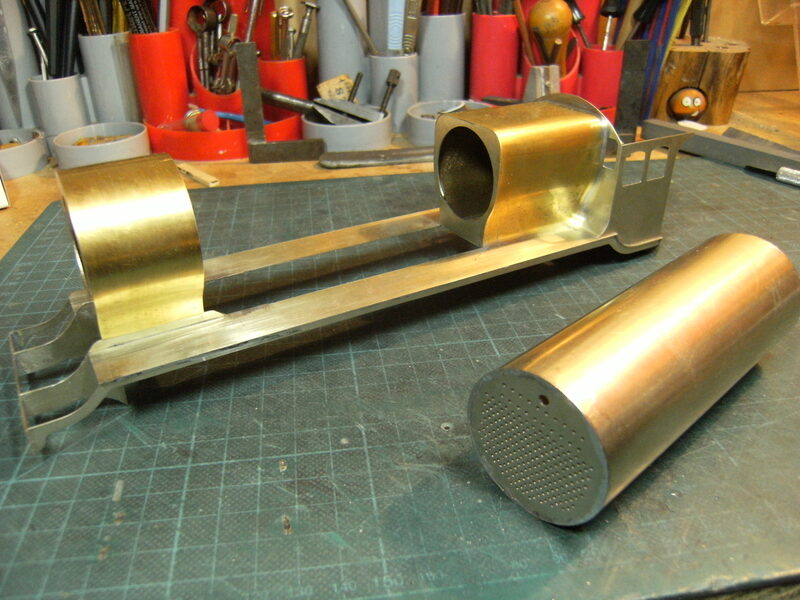 The trailing axle runs in outside bearings, the axle boxes being machined from cz 120 brass plate to my own patterns on the pantagraph miller. 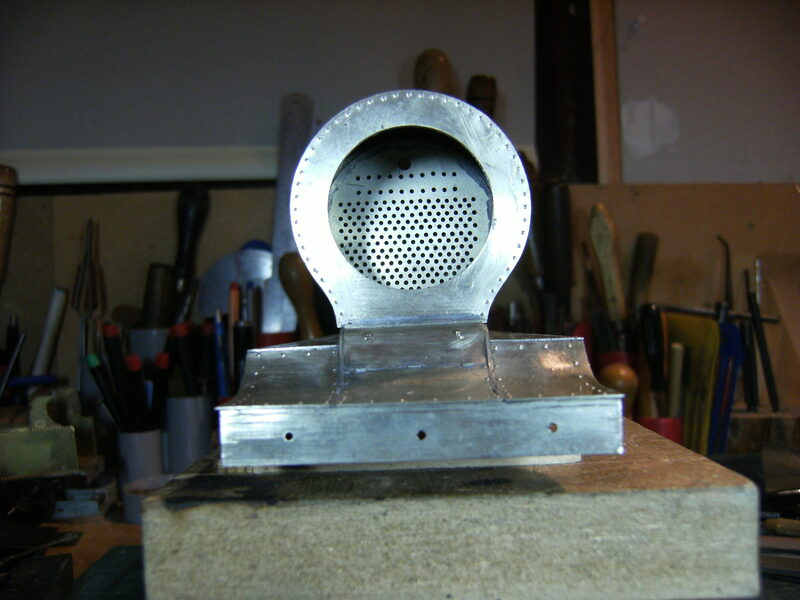 Chimney and dome have been produced from mild steel on the lathe by fly cutting the base and turning the upper surfaces. 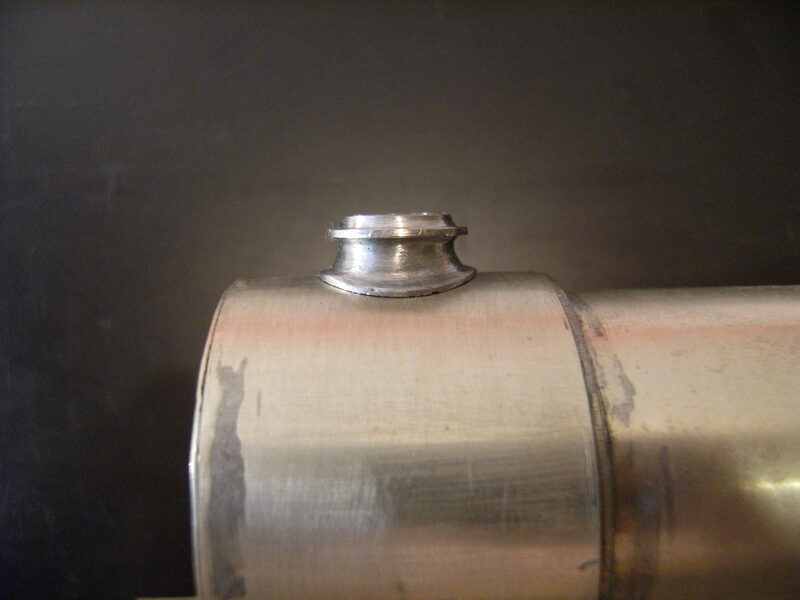 Nut and bolt detail to added to the chimney. 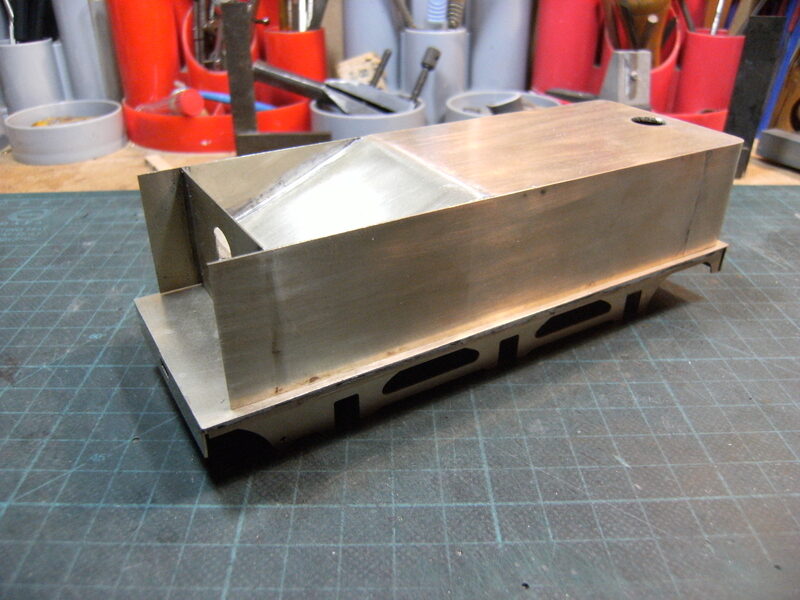 Tender also has external bearings with machined axle boxes waiting to be fitted. 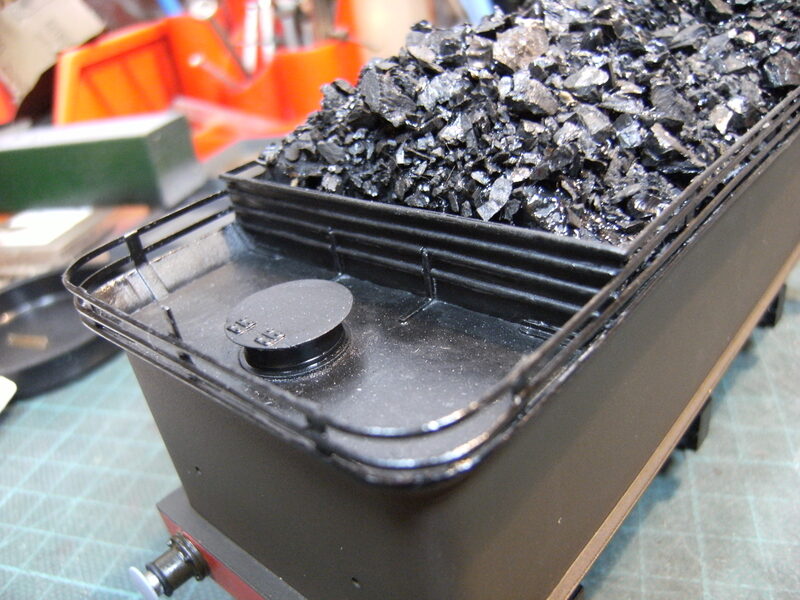 Coal rails are made from half round brass wire and coping from 0.010″ brass. 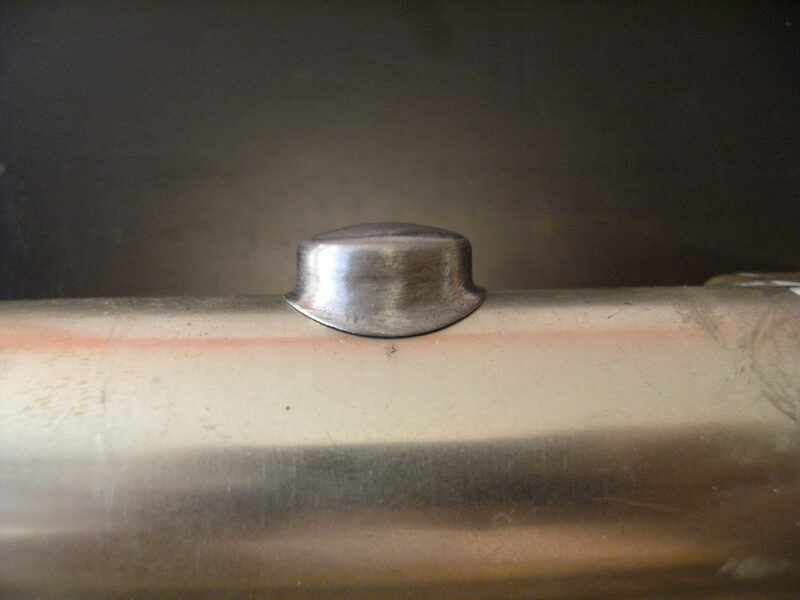 Water filler was turned from brass rod with sheet brass lid. 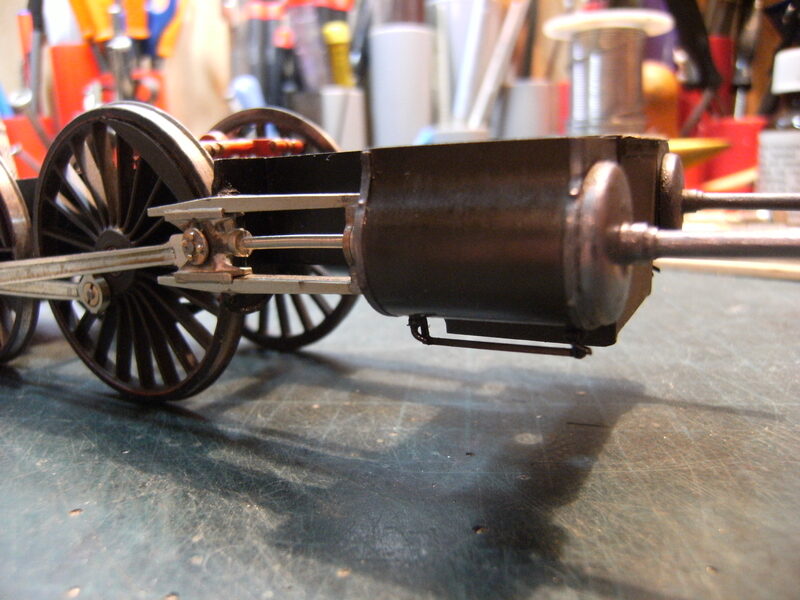 Smoke box interior fitted and inside motion to chassis completed. 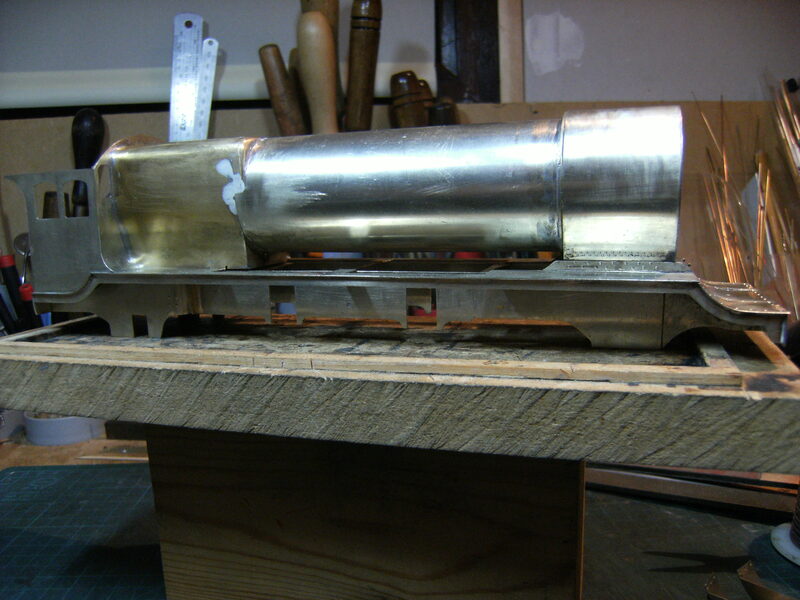 To see the finished loco please go to the gallery. Thanks Scott, S scale ? the scratch builders scale as they say. 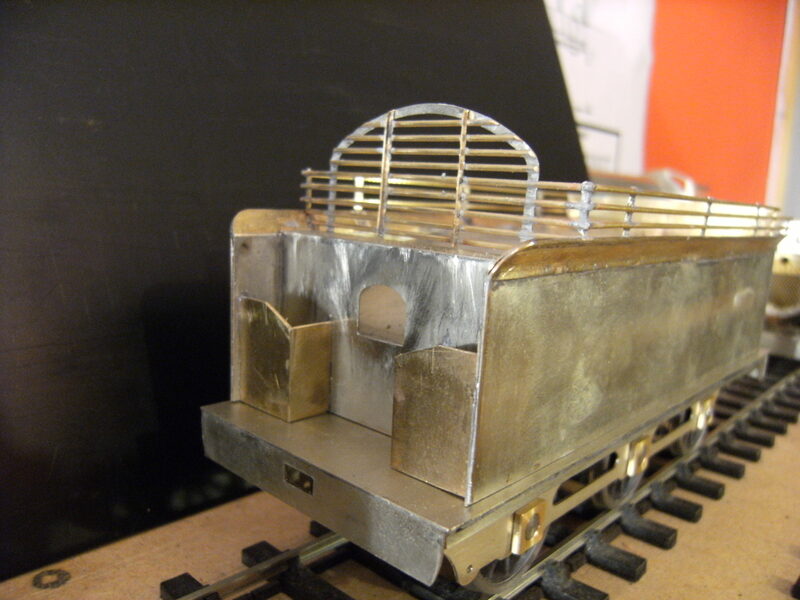 I have often been asked to build models in other scales, the patterns I have produced are mainly made at 2:1 for 7mm scale for use on the profile miller, and to try and work out the ratios to set on the miller required to produce other scales from these patterns would be a bit of a head ache, especially when you consider the allowance for different metal thickness. I’m happy working to 7mm scale and would not really wish to work in other scales. 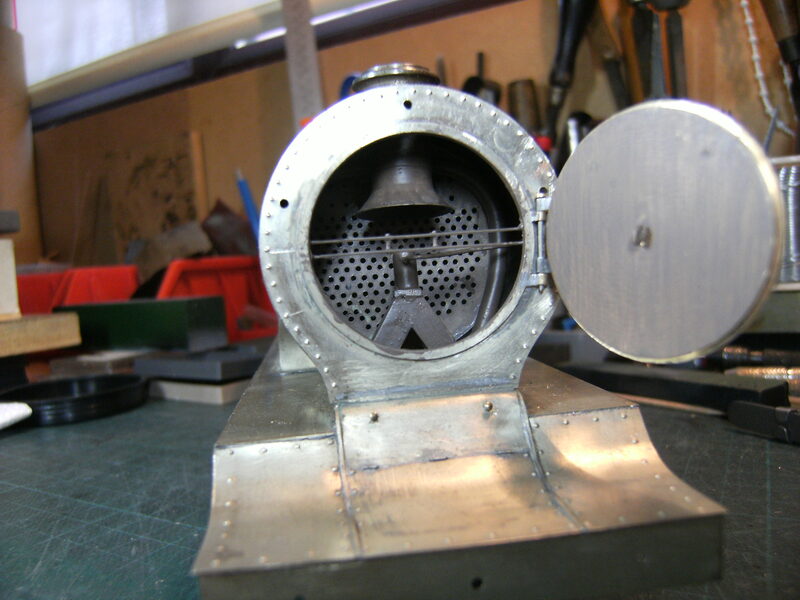 I am very impressed and i look forward to seeing it painted. Is this a one off or are you building a batch? 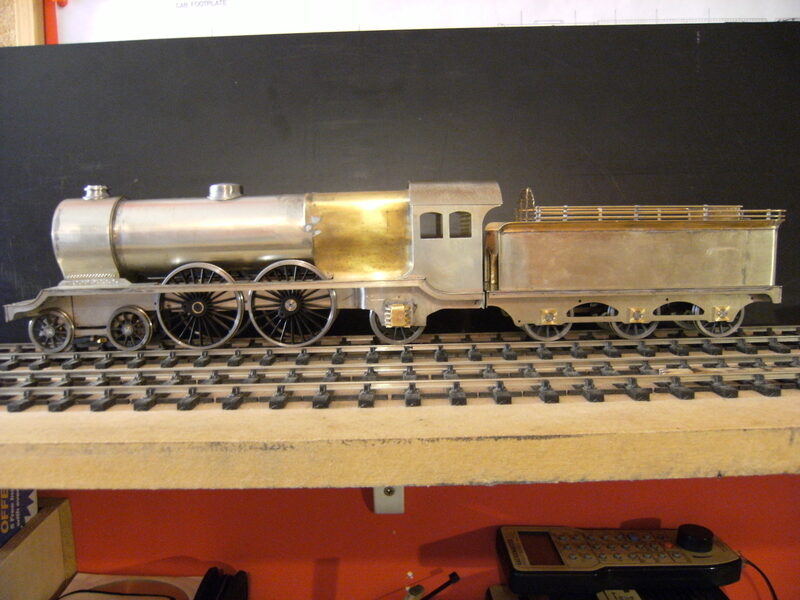 If it is being sold what is the price for a finescale rather than a scale 7 one please?